The new City Coin Laundry is open seven days a week, 7 a.m. to midnight. 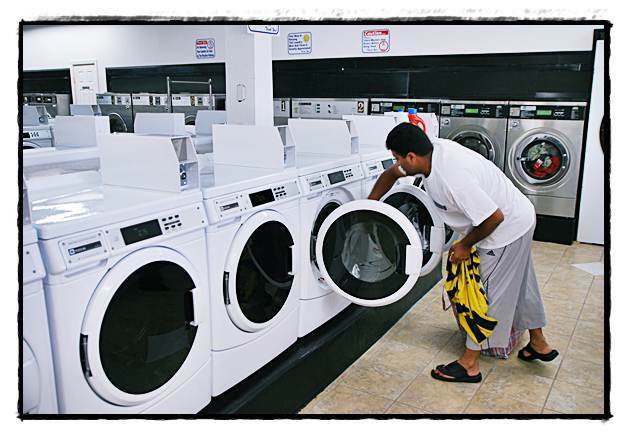 It costs only 75 cents to wash a load of clothes at the newly-opened City Coin Laundry, located on the city’s southend at 8838 Jos. Campau. Yes, that’s the bargain-basement price. A group of local investors gutted the former Madrid Laundry and installed brand new washers and dryers. Dr. Khalid Almasmari said he and his partners took on the project to help kickstart an uptick in the local economy. Plus it doesn’t hurt that there is only one other laundromat here in town, which just so happens to be across and down the street from City Coin. Nothing like a little rivalry going on. Well, it also didn’t hurt that space had been a laundromat one time, making the whole plumbing issue far easier to upgrade rather than start from scratch. “Yes, it helped it was an existing one,” Almasmari said. 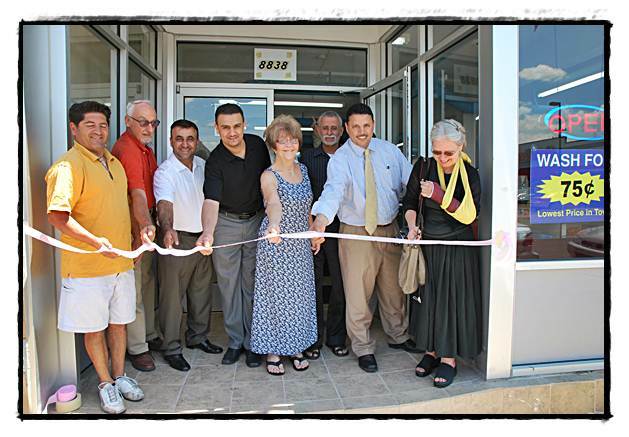 The official grand opening with Mayor Karen Majewski (far right) cutting the ceremonial ribbon.